Ok, anyone any ideas on how to live again, not just survive but to live. I know its a biggy but I will start with what helps me. Filling my days, I find that if I keep busy I don't have to think about my grief, the missing to much. Then at the end of the day in a quiet place with my loved ones photo, I spend at least 15 mins chatting to him about my day and try to recall one happy memory of us together which may cause some tears to flow but that's ok and that seems to just settle me down nicely. It was a biggy for me - having been a carer for most of my life i had no idea how to care for myself - since the age of 16 there was always work, then some-one to look after from my gran, through bringing up my kids - nursing Mark then my mum who both died of cancer, then Keith after his first stroke. Between Mark dying and Keith and i being together, and with the girls being teenagers i went back to college and did a degree but i was still being a carer and working as well. When keith died the girls had left home - i had been doing the same job for 12 years so it wasnt exactly challenging - i had no idea how to occupy myself or even what was the point of my life at all because that lifetime role was gone. I had to move - which made me busy for a while and i had a neglected garden to sort out - so a lot of hard physical work, but that actually helped a lot - i wanted to re-create our garden - for him in a way - the new one was half the size but i still wanted a pond and a wildlife area and it was that, being in nature, which made me smile again for the first time - i was occupied with something and suddenly realised i could feel the sun on my back and this robin was singing so loudly and persistantly i couldnt ignore him. Then i decided to spend time marking keiths life there is no gravestone or anything - so i went round to our favourite places and planted native daffodills which took up time - getting the logistics worked out and overcoming or avoiding some of the situations that created the most anxiety for me while doing so. I still had our old campervan and had to learn pretty quick how to keep it on the road so a bit of mechanics and welding - but i went camping in it too, as a really good friend who was also in the same camping club as me pretty much made sure i kept going to the meets - and they were/still are a great bunch of people they were keithd friends too, they were couples and famillys and yet i never felt left out - as famillys their kids grew up and a lot have stopped doing it now but there is a few left. I decided if i didnt know how to make a life for myself then i would live my life through Keith - so i did some of the things he would have liked to do -and i went back to dolphin watching - which was pretty much how we spent all our holidays - The first time was very difficult and yet even though its only once a year for me now i feel closest too him stood on that harbour wall its like getting a hug off him. My eldest moved to south africa and i go there as well - and discovered again how much the natural world means to me but also how abject poverty affects the lives of so many people over there - i always knew that but seeing it first hand is very different. I plan to do a permaculture design certificate - so i can get involved more with that side of it when i retire, but also want to spend some time doing conservation research i already do that with the dolphin watching but want to extend it. The campervan finally gave out last year and having thought i should replace it with a "sensible" car i then went and replaced it with the same - they guys who were going to take mine for parts also sell them - they even switched the driver and passenger seats from the old one for me -as i was pretty heartbrocken about losing it - so at the moment i am hand stitching curtains and trying my best to do some joinery to put together a conversion for the interior - so still busy. I am 8 years into this journey now and it hasnt been easy i still talk too him not so much with a photo and at a dedicted time - but as things happen or i have ideas or even with the practical things - how do i do this or that - he is always in my mind and i feel like he has been taking it with me - in part because it started with me doing things and living my life for him. We will all do this differently and find our own paths the grief path is the one we tread together -for some it might be new hobbys or going back too old ones,, new friendships, new relationships, new activities, but we will all do it. Is hard to add anything to karenas great reply! It's only about a year and half since my latest bereavement and I lost my mum, which is different. I lost my dad 34 years ago and my nan and a close school friend when I was in my teens and every loss is different, because I was at different ages and stages of my life and because the circumstances I found myself in afterwards each time were different. This is the first time I have been left with just me to look after and I feel I am still in the early stages of finding out what I am going to do with however much is left of my life. I decided early on that I needed a distraction and something to look forward to each week and to be interested in, so I joined a class and took up a new interest that my mum would have enjoyed too. That kind of made it OK to enjoy it and I am still going to that class after a year. It still helps me a lot too. I made some new friends there and that has helped and made me feel less alone. I think finding your way into a new life that you feel is worthwhile is a slow journey of discovery. Filling your days is useful, but I think you need to do more than that and find something to do that really means something to you and that you feel is important to you. I think you have to try different things to see what you might enjoy and, as Karena says, and see where that leads. Setting yourself challenges too is good. It all gives you new experiences and so is fun, but also builds your confidence and helps you start to believe in yourself and that you still have a future on your own. I work, so I don't have a lot of time to explore what I might like to do next, but so far, I am enjoying my other interests and looking to the future because of them. They do help add purpose to your life. 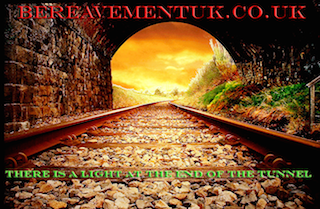 There is a lot to deal with after you have lost someone anyway,so that takes up a lot of time too - all the sorting out and deciding whether to and whether you can stay where you are or need to move, sorting out official things etc. I still haven't got to the end of that. I have a friend who also lost his parents recently and also decided to try some classes to see what he might enjoy. Part of that was to look at human and animal behaviour and there are a lot of similaritys - for my project i focussed on Elephant grief as it is something that has been researched over a while now. The point of telling you this is that as humans we have lost this natural behaviour and moved much more towards behaviour born from societal pressure often for convenience of others, rather than instinct - so although we have all said how we started to get a life and ideas of how to do it as you asked - mine looks a bit manic -but it was a stop start journey its 8 years now so i just wanted to say it is also ok to stay in the lair until you are ready, if you are experiencing that pressure from people around you.And also when you do step out, that its ok to continue to go back there, whenever you feel that something is the wrong thing or its getting too much or just that you want some time alone. The lair may be physical - your house - it may be something different - a private diary where you can go back to how you felt last week even though you felt better at the weekend, but now feel bad again - it doesnt have to be a continual forward progression it may very well not be but we also do learn something from the set backs, and if that happens i think its important to take time to absorb it and reflect before stepping out again, so that we dont repeat the mistake. I did so, not because i had any particular desire too but because every one said join something in the local community and thats about all that was on offer. When i got there i stood on my own and everyone continued chatting in their already established sub groups ignoring me, when the speaker arrived i sat at the back on my own -i stood alone through the tea break, and i left at the end feeling absolutely awful - my reaction was to hide away - was it i was never going out again. - but retreating gave me time for reflection and i realised it was wrong for me - it wasnt a goal, i had no real desire to be part of any of those sub groups, in reality they had done me a favour and i learned from it that i needed to take a different direction - but that when i found one that was right, i would work out how to get round obstacles - social anxiety in my case - because i would be more confident that the destination was the most important thing. I can travel across the world on my own - but i cant go into a cafe at home on my own, the point is though that actually i dont need too go into the cafe - Whereas Emz did need too, so sensibly worked out how to cope with that in advance. I took a step forward with that challenge last year, going into a railway station cafe because i got stranded there for hours and the alternative was freezing on a platform - sometimes motivation is unexpected events - but the other things i have done have given me more confidence in that kind of situation - when i started out i would have stayed on the platform. Thank you for sharing, you guys are great and really appreciate all you have said. I think I am at the stage where it doesn't bother me going out with friends and I have had some really nice evenings but can take or leave it, its just so different without my hubby by my side. I think cameras help alor. I found instagram after my loss (my friends daughter pestered me to join) but I'm glad she did, I found a few photo challenges on there, where they give you a prompt for each day and then you take a photo for that prompt. It became something to focus on, think about and I loved seeing everyones individual interpretation of the daily word.